Ok, I know I just made a post about how much I love Wellies and that my current obsession involves owning as many pairs as possible. Well...I have another obsession. Actually, I think it's more lust than obsession. Whatever you want to call it. 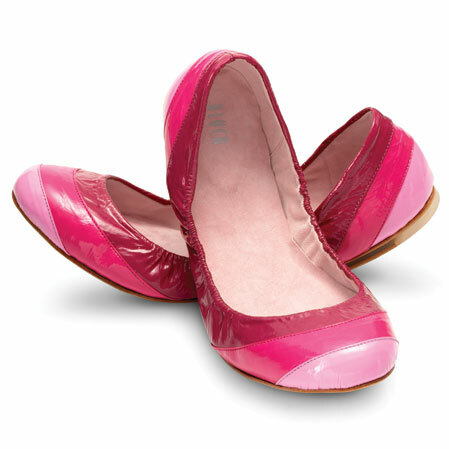 It just all boils down to the same point: I want to own the Bloch Rosalina flats and the Bloch Tri-Tone flats. I realized that it's just not practical for me to wear heels, being a first time mom and all. I'm hoping that one day I'll be able to wear heels again...which most likely won't happen until the wee one is like, 5 years old or if I was having "mommy alone time". I also realized that my wardrobe since having my little one has been nothing but denim and black tops - not that it's a bad thing - but I usually like to wear a splash of color (I like to think cause I'm Asian I can get away with kooky bright colors and weird color combos). But since the beginning of October I like to wear anything that doesn't show stains or spit up marks. How sad is that?? I'm thinking since I can't wear color in my clothes, I can at least get away with bold color on my feet. 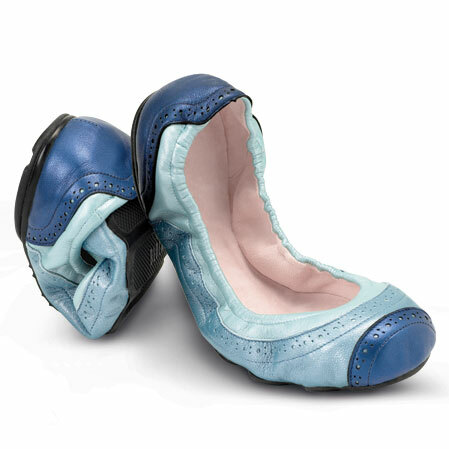 And what a bonus, they're flats! Now if I can only find these li'l buggers...I've been searching eBay and all over the net and just can seem to find anyone that sells them! WTF? If anyone knows of any store...online or whatever, let me know! Warning though, they're not cheap!!! I would also like to be bold (!) and ask if you would like to check out http://creativebloggers.ning.com. It is a new group (that we hope will grow) that is aimed at bloggers who also create, that blog about each other to improve their rankings, comments and visibility. Please have a look and if you would like to join, I'll see you there!